Australian Blackwood originates from eastern Australia, its natural range stretching from Tasmania and the southeast corner of the Australian mainland, north along the eastern seaboard to the subtropics. However, trees adapted to temperate and subtropical climates are usually treated as distinct varieties because of variation in their form, climate adaptation and tolerances. This discussion includes only those varieties adapted to areas with subtropical climates. It may attain heights of up to 24 m (80 ft) in its natural habitat, but is more typically 10 to 20 m (30 to 65 ft) tall and grows at a slow to moderate rate, depending on the growing conditions, forming a straight trunk supporting a densely branched pyramidal or rounded crown. 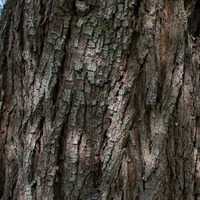 The bark is dark grey, rough and fissured. 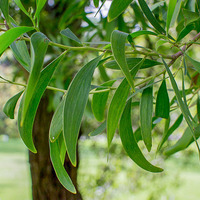 The leaves on young trees are delicate and showy, made up of numerous small blue-green leaflets in a feathery arrangement. 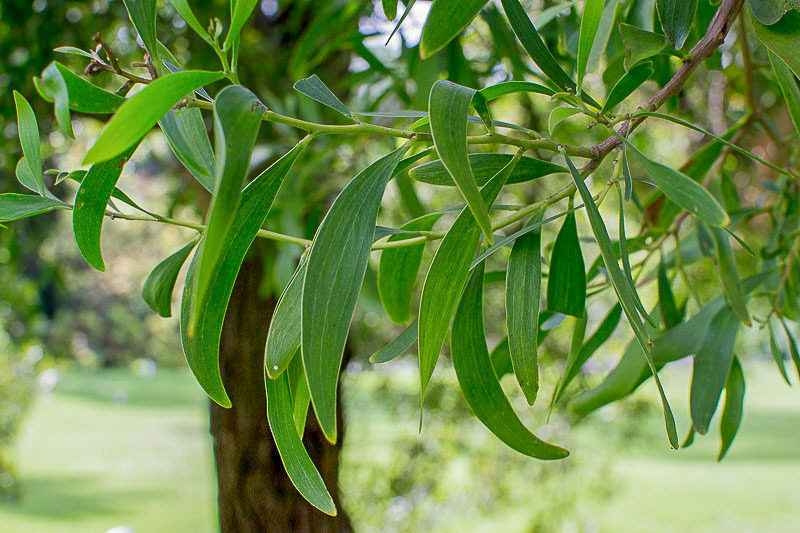 They are replaced as the tree ages with less striking, dull green, sickle- or lance-shaped leaves. Flowers creamy-white to pale yellow puff balls that bloom from late winter to spring, sometimes with light blooms on and off throughout the year. They give off a sweet fragrance which is said to remind one of honey and are followed by many small, flat, twisted or tightly coiled seedpods that turn brown when mature, usually in summer to autumn in its native range. 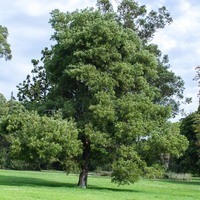 This is a major timber tree much valued for its decorative golden brown to dark brown heartwood, for which it is widely cultivated in tree plantations. It is a medium-weight to heavy wood, averaging 600 to 700 kilograms per cubic meter (37 to 44 lbs per cubic ft), which puts it in the hardwood class. However, it is only moderately resistant to rot and decay and is susceptible to attack from wood-boring insects, limiting its use outdoors. The sawn timber is used in light construction, interior joinery, for making high-end furniture and cabinets, as well as stringed musical instruments, for which the natural resonance of the wood is highly prized. The roundwood is sliced for decorative veneer, pulped for making composite woods such as plywood and is cut into lengths for poles, posts, firewood and for making charcoal. 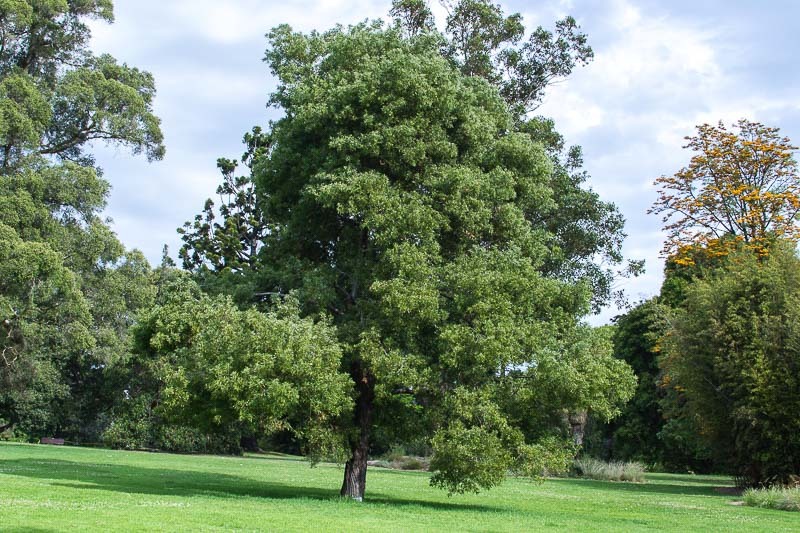 It is cultivated in gardens, especially those in its native Australia, as an ornamental tree, chiefly for its shapely form, the shade it gives, its showy juvenile foliage and its sweetly fragrant flowers. Grows naturally in sub-humid to moderately humid subtropical and tropical mid- to high-elevation climates, generally in areas with annual lows of 10 to 19 °C, annual highs of 22 to 30 °C, annual rainfall of 800 to 1500 mm and a dry season of 6 months or less. However, it has been grown successfully in areas with up to 2700 mm annual rainfall. New plants are usually raised from seed. Scaring or boiling the seed in water for about a minute improves germination, with most seed germinating within a week of planting. Once established, trees are reportedly unaffected by slight salinity, the equivalent of up to 2.5 grams of dissolved salt per litre of water (around one-fourteenth the salinity of seawater). 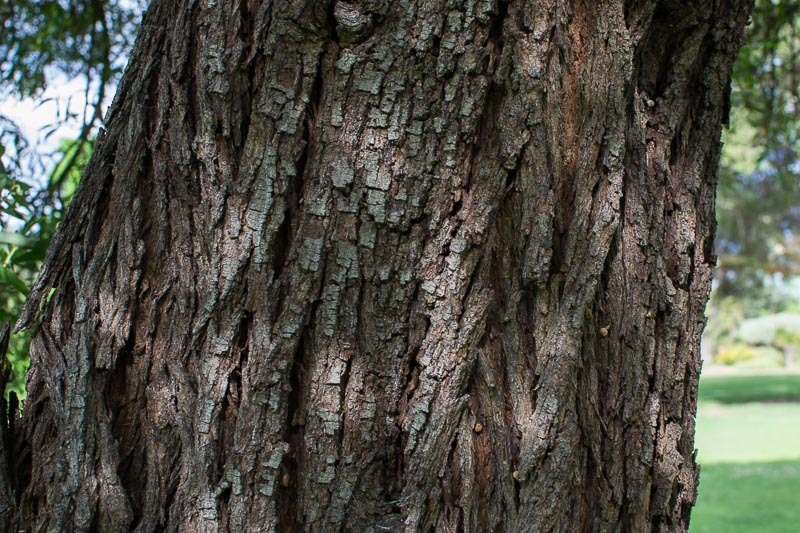 The tree produces abundant seed that germinate readily. It is listed as a weed in more than one reference publication and is assessed to be a high weed risk species for Hawaii by the Hawaii Pacific Weed Risk Assessment project (HPWRA). The roots are moderately vigorous and a minimum planting distance of six meters away from any underground pipes is recommended. Root suckering is another problem feature of this tree species.